Essentially, user-generated content (UGC) is what it is, content generated by users and it has been around for a number of years, even longer than I have! This blog post archived by Google dating back to 1981, could well be one of the first ever pieces of UGC. Why is it then, that only recently UGC has become such a powerful tool for businesses and digital marketers alike? The answer? Social networks. User-driven websites have amplified the amount of online digital content nine fold since 2005. The rise of Facebook, Twitter and the ever-emerging Google+ has given internet users an online voice; a platform in which users can publish their own opinions, blog posts, videos and images. All of which fall into the vast expanding category that is user-generated content. Businesses are now harnessing the powers of user-generated content more so now than ever before, and more importantly realising the value of user-generated content and online engagement. It’s imperative to remember that user-generated content is not just limited to social media sites. Online product reviews, blog posts and forums are all examples of user-generated content that is created away from social media. UGC can allow businesses to expand on their current search visibility whilst enhancing their site’s content. This then facilitates not having to spend huge amounts of money on creating valuable, creative and unique content. Not only that, user-generated content can allow organisations to focus more of their time expanding and developing other areas of their business while still benefiting from the constant rewards that user-generated content can provide. Through increasing user engagement, online communities and groups linked both directly and indirectly to your site can grow naturally. This can occur in the form of indexation, earning valuable links and fan and follower expansion. As your content becomes shared naturally between online social groups and virtual communities. Google will often reward you with page strength and authority, which has essentially occurred independently from any work carried out. This has the power to snowball into an extremely valuable tool that can give your business an advantage over your competitor’s online presence. 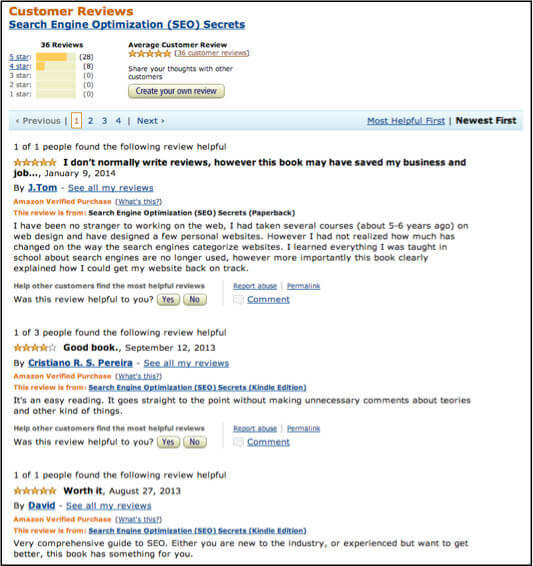 Amazon offers its customers the opportunity to leave reviews after they have purchased a product, a great example of a company enhancing the powers of UGC. The main issue that many businesses face with user-generated content is the lack of control they have over it. Channel owners now have more tools to moderate comments on their videos whilst at the same time block certain keywords that user-generated content may create. The comments section has also been re-vamped with to engage discussions at the top of the comments lists. YouTube now only allow users to comment on videos provided they are logged into their Google+ page. 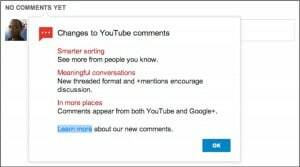 In doing so, video creators can link comments with their Google+ friends, and vice versa with those who comment on videos. Therefore users may think twice before they decide to post content that other people, especially their friends on Google+, might find offensive. This is a great example of how a large organisation has taken control over the type of user-generated content that is created, whilst still ultimately giving users the freedom to comment as they wish. How to encourage valuable user-generated content? Give your users a reason to engage with your site and one another. Offering discounts or prizes can give your users the incentive to create content on your site or social networks. If you’re going to offer some kind of incentive to your users then make it worthwhile. Nobody is going to create quality content if the incentive isn’t quality. Offer your users a place to ask and answer questions. If your user has a question about one of your products, it’s likely that someone else is going to have the same question. It’s also likely that someone else is going to have the answer. Respect. The same old saying goes here, treat others how you wish to be treated yourself. These people are creating content for you after all, it’s important to allow your site to evolve in a way in which best suits its users. Create opinion polls on subjects relating to your industry or your products themselves. Chances are someone is compelled to say something about what it is that is being voted on. “Hello followers, hope your having a great day whatever it is you’re up to” is not a good way to encourage engagement. Ideas can create ideas, which can create other ideas. Creativity and imagination can be the spark that takes your website to the next level. A great example of this is content that goes viral. Content that is shared virally is done so for a reason. It’s original, unique, creative and sparks a reaction. And most importantly people talk about it. Value your users. If they are interacting with you, then interact back! Your users will be even more willing to engage with you, knowing that they are being acknowledged. If external users see this, it can broaden your customer base vastly. Integrate social media with your website. Follow, like, +1, re-tweet and share buttons allow users to connect with your site with ease and can allow users to effortlessly share and create content with you. Not everybody is going to create engaging, thought-evoking, positive content. It’s important how you handle those that are going to be negative and most likely going to have something destructive to say. Whether it’s a customer complaint on your social network or a damaging product review, sometimes how you deal with these comments can often have a greater positive impact on your business then positive UGC itself. It is encouraged that you monitor user-generated content so you can react to these comments in a quick, responsive and effective manner. Simply deleting a complaint can actually escalate the problem as the conversation could carry on elsewhere. However, it is worthwhile to delete content created by users that are abusing the site, other users or posting inappropriate comments that are irrelevant or self-promoting. A great example to demonstrate the powers that UGC can have on SEO is to search for the last hotel you stayed in on Google. Chances are, other than the hotel’s main website appearing first, second and possibly even third; the following result is going to be the review-based website, TripAdvisor. Full of engaging, compelling and unique user-generated content, TripAdvisor is possibly one of the largest review-based websites in the world. It’s important to remember that user-generated content does not just have SEO benefits; it offers a platform for you to engage with your customers and also for them to engage with one another. UGC can allow businesses to expand on their current search visibility whilst saving time and money on creating valuable, creative and unique content. It is also important not to neglect creating your own content. Writing an engaging article or uploading a compelling video can in effect generate further discussion and almost have a snowball effect in terms of how user-generated content is produced. To conclude, UGC can help maximise conversions, increase sales opportunities, and provide your business with multiple opportunities to reach out to your customers. It is essential that you allow your user-generated content to occur organically, but at the same time, still ensure it is monitored regularly and headed in the right direction! Do you utilise user-generated content? How does it work for you? Or if you don’t, why not? We’d love to hear your thoughts.